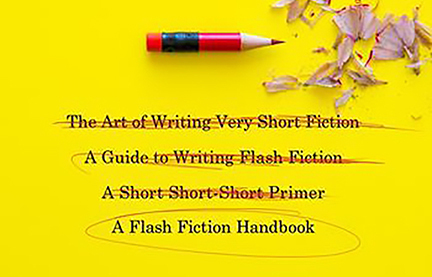 Welcome to another installment of If My Book, the Monkeybicycle feature in which authors shed light on their recently released books by comparing them to weird things. 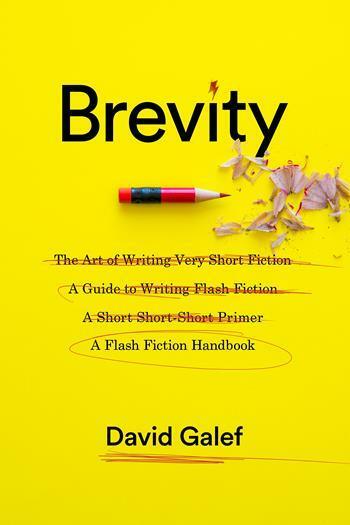 This week David Galef writes about Brevity: A Flash Fiction Handbook, just published by Columbia University Press. 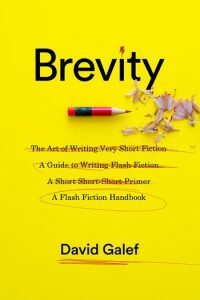 If Brevity: A Flash Fiction Handbook [BAFFH] were a friend who read your work, it would be the person who doesn’t judge, even if you’re writing something clearly autobiographical and embarrassing as hell, like the time you walked back from the high-dive in front of a whole fifth-grade pool party. This friend also makes clear notes in the margins that are both pithy and extraordinarily helpful, like noting that you’ve really got to clean up the dialogue in the diner scene, and actually, don’t even try a Southern accent. If BAFFH were your mother, you probably wouldn’t go near this book, but maybe on a day when half the things in your life are going wrong and she calls up with that familiar ring—it’s just a ringtone, but somehow you can tell it’s her—anyway, she just wants to know how you’re doing, doesn’t mean to intrude, or okay, she kind of does, but after all, she’s your mother, she means well, and in fact by the time you’re finished talking with her half an hour later, you do feel good enough to work on a page you’ve been blocked on for days. Or maybe BAFFH is your best friend, nicknamed WD for “Walking Dictionary,” though she also tells stories and oddly useful lore, like who’s a French author who writes really sophisticated vignettes (Colette). If BAFFH were a mode of transportation, it would be a three-speed bicycle, serviceable and steady but which nonetheless has some surprisingly up-to-date features of hybrid specials and fixties. Don’t forget to lube the drive-train regularly, though. If BAFFH were a body part, it would probably be a leg, sturdy and dependable but also capable of surprising feats, such as winning the varsity 100-yard dash in under twelve seconds or vaulting over the forsythia hedge that Mom planted eight years ago. Afterwards the leg is at rest, dressed modestly in argyle, and you’d never know if you hadn’t seen it in action. If BAFFH were your aerobics instructor, it’d be slightly sweaty but not rank, providing exercises to get those juices flowing. You know, the creative writing prompt equivalent of lateral stretches. If BAFFH were a novel, it would actually teach you something about life rather than the kind of novel that’s an endless riff, expecting you to like stoner characters whom the author clearly favors but who are in fact quite annoying, like Jed and Noel, or is it Ned and Joel? If BAFFH were a teacher, which it sort of is, it’d be the kind who stays after class to go over the English assignment you worked so hard on, as the November afternoon light filters through the tall school windows crossed by battered Venetian blinds, and you think maybe, just maybe, next time your writing will knock everyone out.